The motto of the Community Family Players is “connecting youth and community through the performing arts.” Our goal is to provide family oriented theatre experiences for cast, crew and audience members. 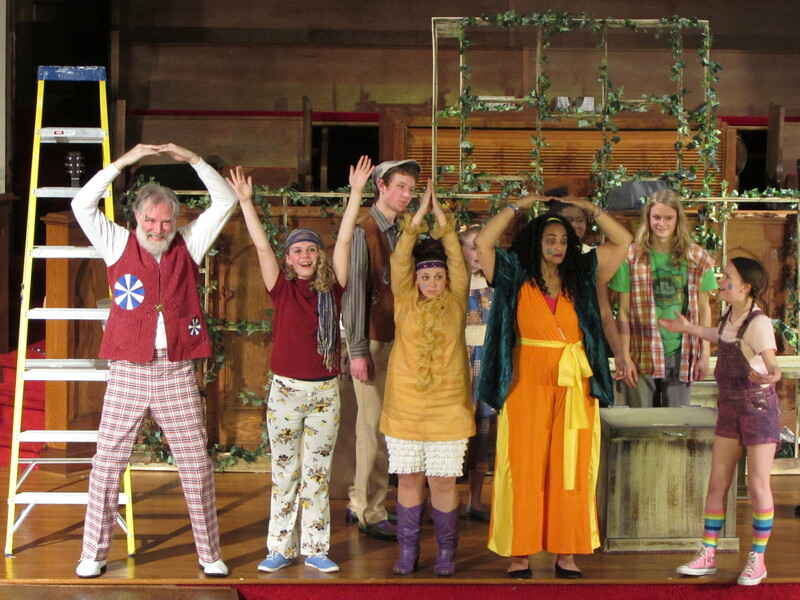 Wholesome theatre productions, emphasizing messages suitable for all ages are put together and performed. 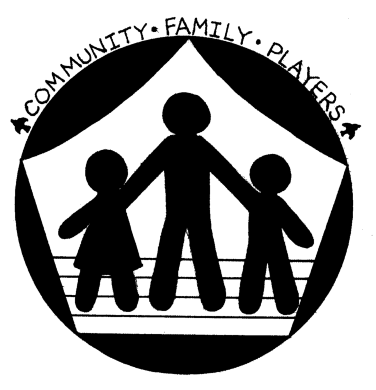 Community Family Players was first founded as “The Chancel Players” in 2016. We changed the name in 2017 to better reflect our connections to both the community and families. 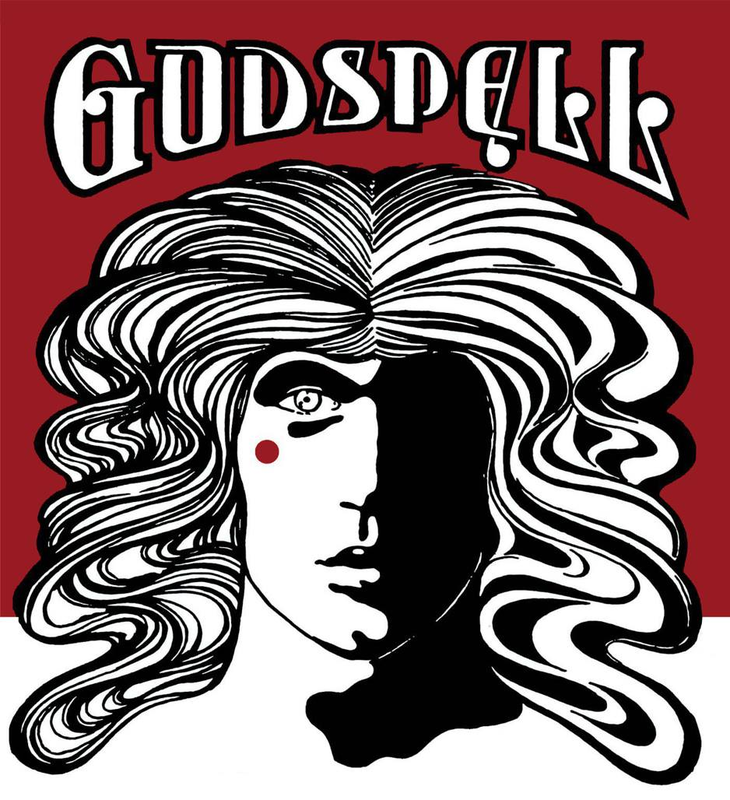 In the spring of 2017 we produced our first play, the Broadway musical Godspell. The production was very well received and provided an inspiring and powerful beginning to this new ministry. WHO WE ARE: Community Family Players was founded in 2016. We are in ministry of the First Congregational Church in Mount Vernon, Ohio. Our hope is to connect youth and community through the performing arts! We provide family oriented theatre experiences for cast, crew and audience members. Wholesome theatre productions, emphasizing messages suitable for all ages would be put together and performed. The cast and crew in our productions is intended when practical to include a mix of adults and youth from throughout the community. The presence of adults includes, of course, solid production cast and crew members but also to provide in-cast teachers and positive role models for the youth. 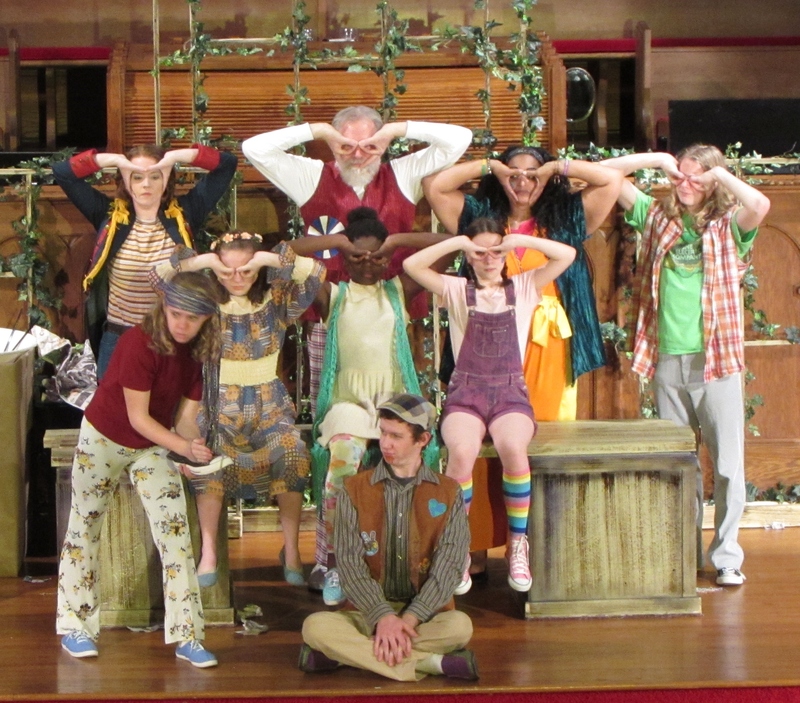 More importantly, the presence of youth and adults is to provide the opportunity for family and community members to work and play together outside the home and become connected in ways that plays do so well for the cast, crew and audience members. Our goals also include providing a quality Christmas benefit show in partnership with The Winter Sanctuary, our local homeless shelter and help center. A quality Christmas show in partnership with The Winter Sanctuary to benefit the homeless. The impact on the community includes the provision of the expected outcomes set out above, as well as filling the need in the greater Mount Vernon area for positive activities for our youth, and positive interaction between the youth and the community. We hope to be a positive place for our youth to belong, to have fun, to imagine and create, to dare to do new things, to interact with adults, to learn and grow, to work to give to the community and to receive positive responses from the community. Community Family Players gives opportunities for families to work together and for youth to shine on stage while entertaining folks of all ages in the process. While we have no plans to provide scripted doctrinal messages about life, or religion, or spirituality; we do want the youth to receive one over-riding message: that there is a lot of good in the world and a lot of people who care about them. It is our intent and hope that our actions will not only provide theatre skills and experiences, but give clear resounding messages of love and compassion, of respect and charity, of hope and joy, and of community commitment to positive growth in all of us. We plan to prayerfully and carefully do this by providing community family theatre experiences on and off stage, and of course on stage for audiences. The youth receive from their participation in the theatre productions a myriad of experiences. Acting requires a great amount of discipline to memorize, rehearse and stick with all of the work that is needed to perform a piece. It makes the actor search her soul for not only an understanding of the written word that forms the literature of a play, but for an understanding of life, and how to breath that life into a character; using whatever she has within and is willing to explore–and then expose. It truly develops character on many levels, and keeps the imagination exercised and in great shape in a day and age where our imaginations are exercised less and less. Actors must learn to articulate words and thoughts. Performers cannot help but learn about different cultures, different fortunes, great literature and other times and other places. Actors learn to better understand emotions and to some extent control them. Actors create on their own, but also must work as a team with others in very emotional settings developing a united work of art. Acting, of course, also requires summoning up great mounds of confidence to speak before crowds. Theatre is otherwise unique among the arts because it actually often includes all the arts: writing, painting, poetry, sculpture and many times music. This allows participation by youth with varied talents and skills, not just those interested in performing. Perhaps the most exciting thing about theatre is that when everything is just right the actors and the ensemble can move people in such a profound way both audience and performers remember the act for life. The blessing we strive to prayerfully be a part of is to give to the community through the arts not only giving youth the opportunities stated above, but to bring the joy of staged live stories to other youth and adults in the community. For more information on our church go to our website at https://mvucc.org. I had the privilege of working with Mr. Elliott on ‘Peter Pan’ and ‘Godspell’. His Enthusiasm, humor, and professionalism made the entire process joyful as well as a wonderful leaning experience. Scott’s attention to detail and genuine care for all aspects of the production makes it apparent to the cast, crew, and audience that he is willing to give everything to a show. As a director, he will work with, guide, listen to, and challenge his casts in order to bring out the best performance each member has to offer. Working with Scott is a truly unique and memorable experience and i would jump at any opportunity to do so again. I was in productions, twice with Scott as director. I was in family theater with my spouse and child. We were challenged and encouraged every step of the way. I have not had that much fun in a long time. I am still in the performing arts, perhaps more involved than ever. Though I am not in theater, tools that Scott showed and instilled inform my craft to this day. Scott has wonderful skills as an actor and mentor/coach/director. I covet the chance to work under his directorship again. My entire family was involved with Scott’s productions in Palm Bay, Florida, in one form or another: acting, supporting actors, intermission vending, ticket sales, etc. We all agree that he is an incredibly inspiring and creative Director. We saw Scott work with very experienced and polished actors as well as novices and every experience level in between and he assisted each and every one of them to shine brighter than they ever had before. You will have an amazing show and you will be enriched by working with Scott, in any capacity. Community Family Players, the program Scott Elliott started in Lincoln City, Oregon. was a one-of-a-kind opportunity for children to learn and flourish in the world of theatre production. The professional level of the performances was unlike anything I had ever seen offered through the schools. Now Scott is offering his new home town in Ohio the gift of a lifetime. I became involved in Scott’s theater group, The Community Family Players, when I was 13 years old. I was a bit of a theater geek, so I was looking for any community theater programs available, but I participated in more of Scott’s productions than in any others. I think one of the things that made this group so successful was the thoughtful way that Scott selected the adults that took part in our plays. It seemed to me, at the time, that they were all chosen as much for their nurturing abilities and youthful joy as they were for their acting skills. I went through a bit of a hard time in high school, as do many teen aged kids, and The Community Family Players became an invaluable support to me, a place where I could go, where adults still believed in me, where successful and caring mentors encouraged the best parts of me. I still hold many of those friendships I formed 14 years ago. Scott’s experience and facilitation made it all possible. He gave me some of my very best childhood memories and a safe passage through my most trying times. Through Scott’s hard work and creative imagination our summers were filled not only with wonderful, high quality plays for the community but also a supportive environment for kids to grow and express themselves. Some of my best summers were the ones working with Scott and Community Family Players! 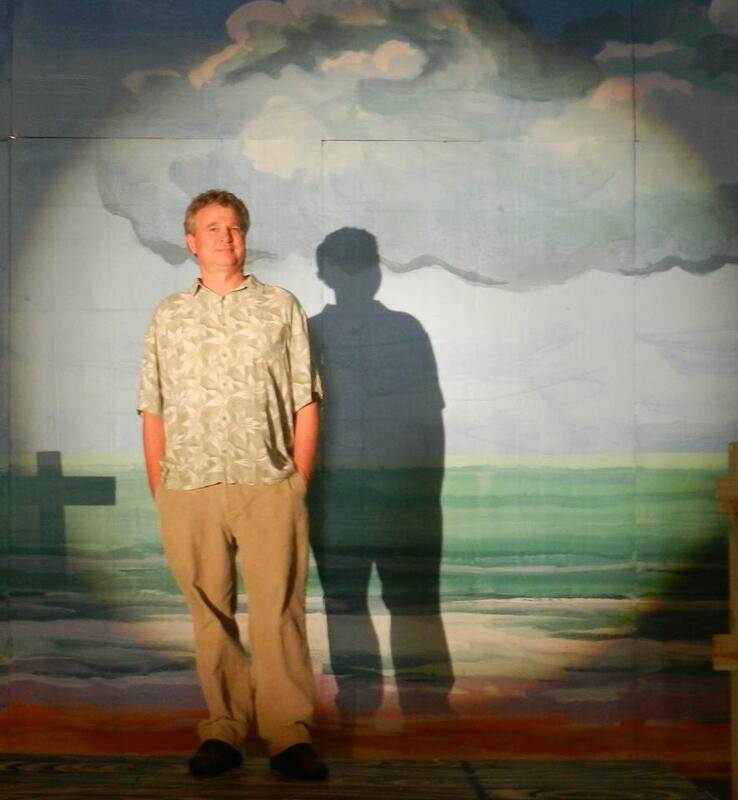 I’ve been acting in community theaters in Brevard County, Florida, for 35 years. Scott’s production of ROMEO AND JULIET brought together actors of all ages, along with family members and supporters from the congregation and community, all of whom enjoyed a fun and educational summer project. It was a rare opportunity to be part of a full-scale production of Shakespeare in a welcoming and encouraging environment. My acting career started with Scott and the other amazing people in Community Family Players when I was just 6 years old. 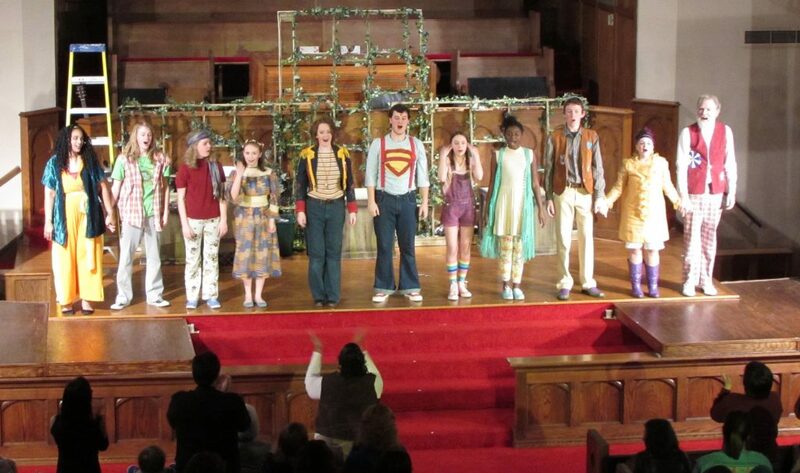 I scored the role of Michael (changed to Michelle) in Peter Pan and then gained a large role the next year in Godspell. Since then, I have been in four other shows put on by my high school in Lincoln City, OR, gained a leader position of our drama department, and even co-wrote/directed/choreographed my own musical when I was 17. Scott’s hard work, dedication, and love for theatre rubbed off on me and has given me the wisdom, courage, and strength to grow into the actress and director that I am today. Without Scott and Community Family Players, I would not be where I am at now, nor would I have even started an acting career in the first place. I remember not wanting to audition for that first musical when I was 6. But I am so glad I did. The friendships and bonds I created with those amazing groups of people have stuck with me for years and I’m sure they will continue to last. Community Family Players truly was my second family and anyone who gets the chance to work with Scott’s wonderful attitude and amazing direction is truly, truly blessed. Scott suckered me into joining Community Family Players in Lincoln City for one of their first productions when an actor had to back out at the last minute. I was a little intimidated, as I had never acted before, but I thought it might be good thing to do once. Six years later I was still doing it and loving it. I especially enjoyed working with kids and being amazed at what Scott was able to get them to do, all in a fun and rewarding way. It’s been wonderful to see them grow and grow up, becoming delightful adults. The bonds we all developed during rehersals and performances have lasted for more than 15 years in some cases. It was one of the most enjoyable and rewarding experiences I have had. I heartily recommend Scott and his productions. I had never really performed at all in my life so working with Scott through the Community Family Players was a very new, but fun, learning experience for me. I met Scott through my foster father who was a member of Scott’s congregation in Florida. When summer rolled around I figured it could be fun to open myself up to something new, plus I just had a hard time telling him “no”. It was extremely intimidating at first, but in the end I found it a great educational experience as well as fun because it allowed me to socialize and open up more after having been through my share of unfortunate experiences as a child. Although I don’t perform anymore I still consider being in the Community Family Players production of “Much Ado about Nothing” extremely rewarding. I had the pleasure of working with Scott for a few years as a youth actor. I hadn’t had any acting experience prior to auditioning for my first production with him, but I was astounded by the level of professionalism and creativity he and the crew brought. I was welcomed into their community with open arms and the utmost respect. I enjoyed my time in his productions as he kept rehearsals light-hearted and positive, yet his craftsmanship and professionalism was really quite evident. He respects all his actors, no matter how big their role is. I would recommend everybody to work with Scott because I know without a doubt that no one will be disappointed by that experience. One Sunday morning Scott casually mentioned, and I thought he was joking, that he had booked me to play the Captain in The Sound of Music. I thought he was kidding but soon learned he was serious. It had been over 20 years since I had been on stage and as far as I was concerned it was my last. Scott convinced me to do it and I have never been sorry. The whole experience was enriching, particularly watching how the kids began as raw recruits and came out as seasoned actors. Scott began Community Family Players with the intent to have children interact and develop meaningful relationships with adults but it worked both ways. What a joy to be involved in such a valuable endeavor. Anyone learning under the direction of Scott is in for a wonderful experience. I had the honor of working with Scott back in the late 90’s and early 2000 through our church outreach program called Community Family Players. I have a background in music and theater and worked with Scott as both support crew and mentoring the youth that participated in numerous productions. I worked with the stage crew and also had lead roles as a seasoned actor while working with young people that for many this was their first time on stage. Shows we worked on included The Wizard of Oz, Sound of Music, and Peter Pan. Even my own children benifited from this program as it became a family affair. Scott was always professional, organized and above all else immensely positive with the young actors. His outreach through theater is professional, fun, uplifting and positive. Scott is creative and caring. This would be such a wonderful addition to any community! For five years, Scott and I worked closely together on plays, all but one being Shakespeare. I found the most joy in playing Puck, a dream role of mine. Under Scott’s careful direction, the role blossomed into one of the best performances in my 15 years of acting (and I’m not the only one who thought so)! I found Scott to be a thoughtful director, one who knows his stuff and carries the cast through the hard work to make it fun. I was always so proud to watch him work with the youth, many who arrived with doubts and left the program with their confidence soaring, year after year, ovation after ovation. If you are a novice actor just getting your feet wet, or an experienced thespian looking to expand your repertoire, you can’t work with a better director than Scott Elliott!!!!! Community Family Players, with Scott Elliott at the helm, quite simply changed my life! I was involved from the beginning with Community Family Players in Oregon. There’s nothing quite like being involved in great projects with great people. The rewards were profound and widespread, and I can sincerely say that I met and worked with many enormously wonderful folks in our many productions. And that was all because of Scott and his vision, talent and humor. I remember a time when we were in rehearsal for Sound of Music, and Captain Von Trapp asked for a line. Spontaneously and in unison all 7 Von Trapp kid actors gave him his line. It was great! We all had a good laugh. There was truly a wonderful sense of family between the cast and crew of those shows. When we did Peter Pan, I was always so thrilled to hear the audience react to Peter’s first flight into the nursery. There was always a collective gasp of surprise and delight. It was awesome. There was a surprising development during rehearsals: nicknames. I was quite fortunate in being given the opportunity to play Baroness Schrader in Sound of Music. One of the Von Trapp kids (Alicia?) named that character Darth Schrader, which quickly caught on with the others. Our choreographer, Wally, had a fondness for benches that he put into the dances in several shows. Scott named him “Benchy”. I miss our productions and working with Scott very much. I envy the people in the current Community Family Players family. You have great times to come! My whole family have been involved with Scott Elliot’s “Community Family Players” for four years straight. We could not wait to try out for the next production. We loved the whole pocess and community mindedness with it. The name Family Players made us feel safe and privelege to have our children involved with this organization. At first it was just my son Darren that got a part in Alice in Wonderland. What a fun fun project. He went on to play in The Sound of Music. Went on to college to do drama. Sound of Music.. She played in Christmas Carol, Godspell, and Peter Pan.. Even though I cannot acted, I loved helping behind the scenes. I could help by being the stage manager and helping gather and build props. We had a blast. So the next year my husband Donald decided he needed to get involved. He played in The Christmas Carol, and as one of the pirates in Peter Pan. He turned out to be the comedian of all the pirates. We as a family designed and built props and costumes. We had so much fun and felt so much love form Scott. He taught and streched us to become so muh more than we thought we could be. I loved being involved and participating in the Community Family Players. Some of the funnest years raising my children. I miss being involved with this group. It was such a special time and opportunity for our family. Great memories. My daughter was directed by Scott in Peter Pan and Godspell when she was 7 & 8 years old. He was really able to communicate with people about what he wants as a director, especially kids. He has a patience which is commendable considering the 30+ actors in Peter Pan! He seemed to know exactly how to illustrate his vision of the plays. There was always a polite, family, fun atmosphere during rehearsals and shows. And the shows themselves were great! We saw three other of the plays he directed as well. My daughter made so many friends during those plays and remembers doing those shows as some of the best times of her life. Reading these comments! All of these wonderful people talking about this time and place we shared that did so much good in my young life. I am feeling very blessed as I look back at my time with community family players in Oregon. I grew so much playing in these plays. It was a safe space where I felt heard, where creativity was encouraged, and learning better physical awareness was easy and fun with acting/dancing/singing lessons built into rehearsals. Love is the most prevailing thought in my mind as I look back. I am so grateful.